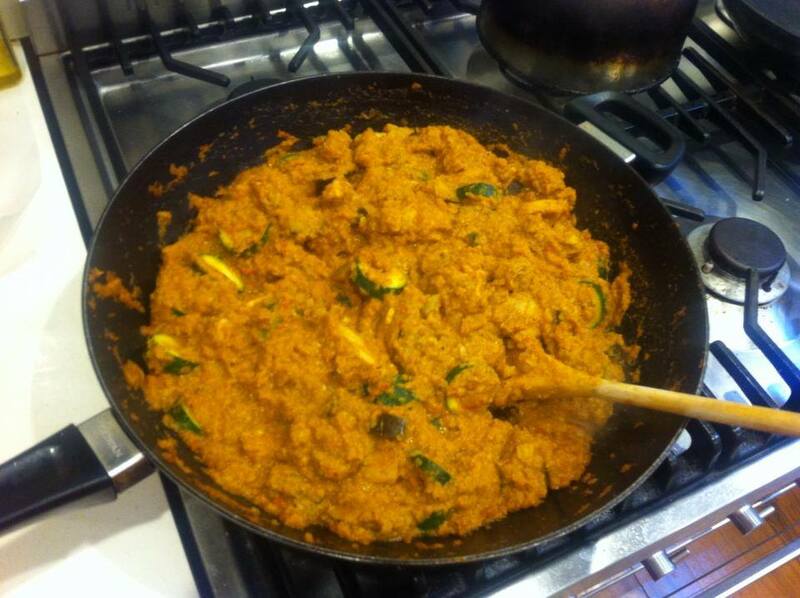 This is a bit of a healthier spin on the traditional butter chicken recipe. I was surprised at how well the texture turned out and how similar it tasted to traditional butter chicken. The spices were what made this dish especially tasty, so I would recommend getting a good butter chicken spice mix but make sure the ingredients have no added sugar or preservatives. I used the Herbies Butter Chicken Spice Mix which was made up of paprika, cumin, coriander, turmeric, pepper, fennel, ginger, cinnamon, fenugreek, cardamom, chilli, cloves, caraway, brown cardamom and mint. Putting together your own spice mix with some or all of these spices would work well too. If you want to make this dish vegetarian you could substitute the chicken for chickpeas in which case you won’t need to marinate them for 4 hours. 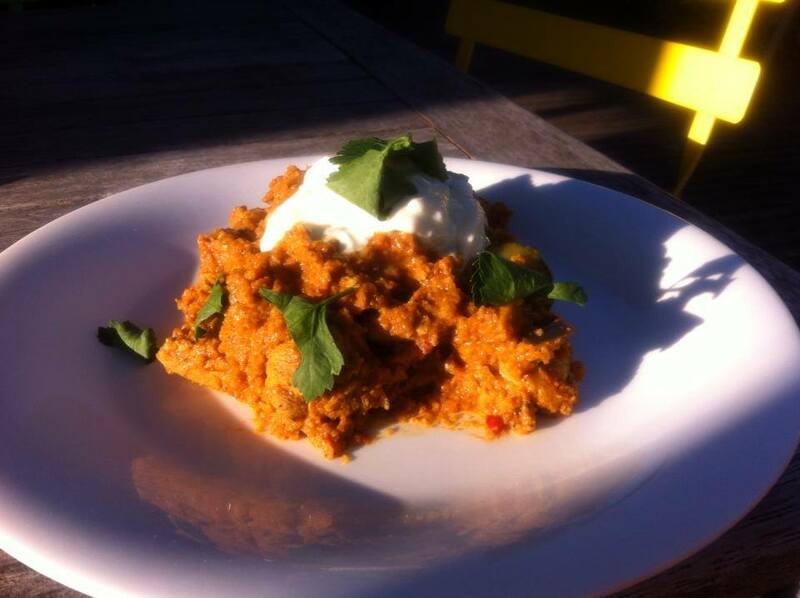 Mix one heaped tablespoon of the butter chicken spice mix with the Greek yoghurt (or coconut cream) until combined. Stir in the chicken pieces until it is all covered and pop in the fridge for at least 4 hours. Place the cauliflower florets into some boiling water and continue to boil until it’s tender and you can easily cut it with a knife. Strain the cauliflower and run some cold water over it. Transfer the cauliflower into your food processor with the garlic, coconut milk, tomatoes and 1 tablespoon of the butter chicken spice and blend until well combined. Leave aside to cool. Heat some oil in a frypan then transfer the chicken into the pan along with all the yoghurt marinade and stir until the chicken pieces start to look cooked on the outside. Put in the zucchini and eggplant and stir for another 5 minutes. Transfer the cauliflower mix into the frypan along with the rest of the butter chicken spice mix and stir until well combined. Turn the heat down, stir the coriander leaves in and let it simmer for about 10 minutes, making sure to check it every couple of minutes and give it a stir. When the mixture is nice, thick and creamy turn the heat off. This tastes great on its own or served with a dollop of Greek yoghurt. Enjoy!